Release Date:02/09/2018;Notes:LP version. Southend quartet Ghost Music present their evocative debut album I Was Hoping You'd Pass By Here. They create careful, considered songs, weaving lo-fi lullabies with gliding guitars and understated arrangements. Influenced by Silver Jews, Flying Nun and K Records, they explore themes of nature, love, loss, and a melancholic English romanticism embellished with beautifully spectral melodies and executed with startling subtlety. Ghost Music revolves around the songwriting partnership of Matt Randall and Lee Hall, who had played together in the '90s with John Peel favorites Beatglider. Randall has recently received critical acclaim as Plantman, with his three albums - 2010's Closer To The Snow (ARLEN 006CD, 2013), Whispering Trees (ARLEN 003CD, 2013), and To The Lighthouse (ARLEN 008CD, 2016) - receiving high praise. When Randall and Hall reunited to collaborate on another album together, they brought in the talents of Roy Thirlwall on bass (Melodie Group) and Leighton Jennings on drums (Dark Globes) to complete the band. The original idea would be that the songs would be "ghosts" and create "ghost music" to resurrect and dust off old songs that they had already started. Lee had found the beginnings of "Home Dog" on a dusty old 4-track and he had recorded "Strange Love" on his iPhone in 2014, whilst Matt had written "My Cloud" as far back as 1997 (the night he moved out of his parents' house). As the album began to take shape, the ghostly premise took a back seat, as they began to breathe new life into the songs they found the impetus to write new ones. Randall explains the songwriting process: "When we were in Beatglider together and in the past we'd made a 'thing' out of writing long songs with a lot of changes. This time we pared it back a bit and stuck to the melodies more. We really wanted to make a proper guitar record. Lee's my favorite guitarist and it was lovely to see him stretch out on these songs with his diamond fingers." Not afraid to wear their influences on their sleeves, Ghost Music's sound is instantly familiar, echoing beloved bands from the '90s such as Pavement, Galaxie 500, Yo La Tengo, and even old-school rock n' roll. 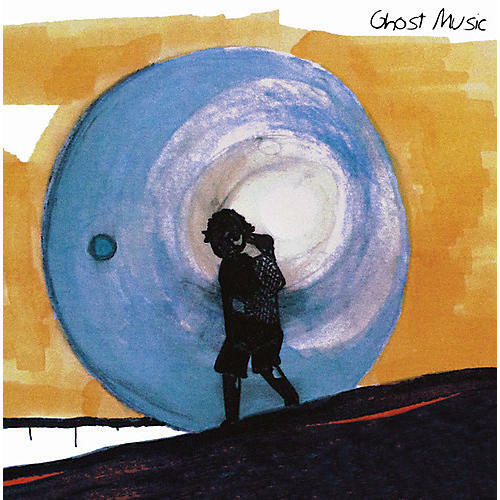 Yet Ghost Music's work never feels derivative, being instead effortlessly emotive, melancholic, and affecting, creating a world of sound that is hugely reassuring and a tonic for the modern age.